These tools will help you get the very best from your stove and your fuel. They can save you money, help keep the chimney cleaner and reduce unnecessary air pollution. They are relatively cheap and easy to use. All are widely available but your local professional sweep will often supply them or show you where to get them. A “flue pipe thermometer” or “stove thermometer” is usually attached to the pipe coming from the top of your stove. It helps you to know when your stove is burning at the best temperature. Try to aim for the middle of the “best temperature” range on the meter. 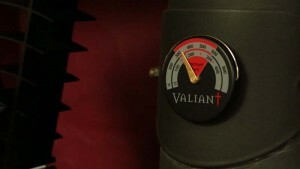 You will soon learn how to reach this temperature quickly and keep it there. This measures the amount of water in your logs. You should aim for 20% moisture or less. If the moisture is more than this, the wood will not burn so efficiently and you will waste fuel and increase pollution. 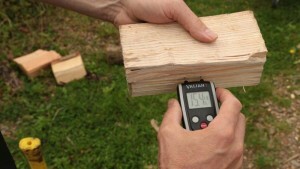 To test moisture content properly the log must be split in half. Then test the freshly split surface. You may not get a correct reading if you just test the outer surface. This is a small fan which sits on top of your stove. 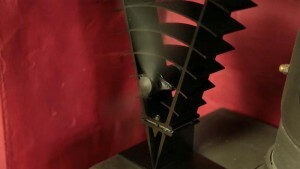 It is powered by heat from the surface of the stove so there are no batteries or wires. Once the stove reaches a good operating temperature the fan will effectively “mix or stir” the hot air rising from the surface. If you can distribute the heat more evenly you may be more comfortable. You may need less fuel to feel warm enough and once again air pollution can be reduced.The fans are low powered so you won’t notice any draught. Useful Tools from Burn Right on Vimeo.